With so many businesses reviewing refrigerant use and equipment for the next decade, this timely case study examines the challenges surrounding low global warming potential (GWP) HFO-based refrigerant blend technology. It covers the very first commercial installation of Opteon XL40, to replace R-404A, at a new logistics and storage facility owned by Park Cakes Ltd. The successful implementation was undertaken by Chemours and DawsonRentals temperature control solutions, a UK-based supplier of cold storage solutions for temperature-critical products. The European Union phasedown of HFCs has led to the reduced availability of products such as R-404A, R-410A, R-407C and even R-134a. End-users are therefore seeking alternative refrigerants with a low GWP. Park Cakes, which is a retailer of premium desserts began by considering a range of options including carbon dioxide. Unfortunately, carbon dioxide required considerable development costs and there was also only limited equipment available. “Equipment does exist but the cost is significantly higher than fluorocarbon-based refrigerant technology and the performance and reliability has yet to be proven for this type of application,” a Chemours spokesperson said. “Hydrocarbons are also widely used but there are charge limitations, and costly requirements must be taken to ensure their safe use as they are ASHRAE flammability Class 3 (i.e. highly flammable). 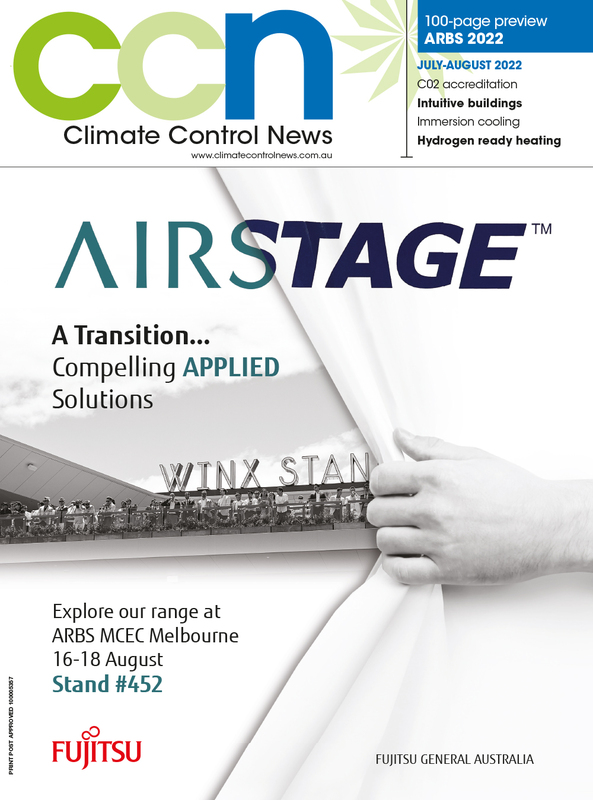 “The final option was an alternative, low GWP fluorinated refrigerant. Chemours has developed a very low GWP (239) HFO-based blend for use in non-hermetic equipment. With significant reductions in the HFC quota this year and beyond, and the ban on servicing and installing equipment with refrigerants of GWP >2500 from the year 2020, Chemours said industry needs “tried and tested” solutions. “In the short term, some quick and easy solutions are already available such as Opteon XP40 (R-449A) A1 HFO blend from Chemours. However, in the longer term as the quota becomes even tighter, there will be a need for much lower GWP solutions, the chemistry of which brings in the need to use flammable refrigerants,” he said. Since 2011, Chemours has been working to develop low GWP HFO blends based on HFO-1234yf. The first products brought to market were non-flammable blends designed to replace legacy HFCs in existing equipment. Products such as Opteon XP40 (R-449A) are now well established in the market with widespread use. The refrigerant manufacturer launched its Opteon XL range of low GWP HFO blends back in 2016 when regulatory guidance was provided on the use of mildly flammable A2L class products. Opteon XL40 (R-454A) is one such product and is a blend of R-32/R-1234yf (35% / 65%) designed to replace R-404A in new equipment for refrigeration applications such as condensing units. The GWP of Opteon XL40 is only 239 compared to R-404A at 3922. This represents a reduction in GWP of 94%. In addition, the HFO blend has been developed to ensure that, while having a capacity similar to R-404A, its C.O.P. is better in both medium and low temperature applications. This means that the overall carbon footprint of XL40 is reduced from both a direct (potential leakage) and indirect (energy used to run the system) standpoint. “Opteon XL40 is expected to be sustainable with respect to the F-Gas phasedown so its a good choice to replace R-404A / R-507A in refrigeration equipment and can meet the EN378 standard safety requirements,” Chemours said. Dawsonrentals introduced the concept of mobile cold stores in Europe and now offers more than 2,500 mobile cold rooms, industrial freezers, blast chillers and tempering units for rent, making Dawsonrentals the market leader in renting cold storage solutions. Many of these units use R-404A as the refrigerant, which was chosen when there was a need to move away from R-22 following the ban on ozone depleting substances. Dawsonrentals was looking for a long-term replacement for R-404A for its new installations and had been working with Chemours on the new A2L blends at its site in Nottinghamshire (UK). The tests showed that Opteon XL40 (R-454A) was an ideal replacement for R-404A in many of the applications. Existing equipment designs could be used with only minor modifications to take into account the use of A2L fluids following the guidance in the new EN 378 standard. Following the commercial launch of Opteon XL40, Dawsonrentals planned an introduction with one of its newest projects in the UK, at Park Cakes production site in Oldham. A leading supplier of premium private label cakes, Park Cakes Ltd., was recently the subject of a high-profile management buyout. The company is very environmentally aware and supplies its products to a number of high profile retailers who also have high expectations when it comes to environmental sustainability. With this in mind, Park Cakes told its equipment supplier Dawsonrentals to find a low GWP option for its new low temperature cold store. Dawsonrentals had just completed a trial of Opteon XL40 in its mobile cold store rental units when it was contacted by Park Cakes. When the 1,805m3 cold store was initially designed by Dawsonrentals there was no equipment rating data available for Opteon XL40. As a result Dawsonrentals based its designs on R-407F and initially used R-407F to commission the system. The cooling was provided by three Zanotti HCU5180B941J condensing units, each comprising a Bitzer 4HE-18Y-40P semi-hermetic compressor using BSE 32 oil and a Danfoss TE5 R407A/F thermostatic expansion valve with a #2 orifice. Dawsonrentals then carried out risk assessments for the use of Opteon XL40 and found there was no need to include any additional safety measures. After initial commissioning, the R-407F was replaced by 23kg of Opteon XL40 in each of the three units. Under EN 378, as the machine room was outside (Class II), the cold store had restricted access (category c) and a very low occupancy level (<1 person / 10m2), there was no charge limit for using Opteon XL40, but even for a higher occupancy level the charge limit was 25kg, so the design would still be compliant with EN 378. The new Park Cakes unit, which first became operational late last year, replaced 10 modular units, each capable of holding 36 pallets. The new building, designed to run on the latest Opteon XL40 (R-454A) refrigerant gas, takes the same volume of pallets, but in a smaller and far more controllable area. The new unit is fully racked and forklift-compatible inside, offering the producer faster and easier access to the stock it needs. The mono-pitch steel structure is constructed to BS EN 1993-1 with 40mm thick, Loss Prevention Certification Board-approved, PIR roof and fascia cladding. Dawsonrentals technical manager, Kevin Smith, said refrigeration is handled by a number of the latest low noise, energy-efficient units, utilising the industry-leading R-454A refrigerant gas with a very low GWP of 239. “It took the on-site team just 22 weeks to build and to ensure it was fully operational,” he said. Following is data collected from one of the condensing units positioned closest to the main door of the cold store. The system was not monitored with R-407F and so a direct comparison was not possible. However, using the data collected, it was possible to estimate a performance for R-407F and R-404A, based on the assumption that the operating parameters would be the same as for Opteon XL40. A Climacheck data logger was used to collect data from the system. Sensors were fitted to log the suction and discharge pressures and temperatures as well as the liquid line temperature at 5-second intervals. The condensing unit monitored was for the evaporator nearest the door and at the time the monitoring was performed, the cold store was being loaded and therefore the outside door was often openresulting in a near constant operation of the system for the logging period rather than the normalcycling that might have been expected. It was not possible to log the evaporator exit temperature and so it was assumed that the superheat was constantly at the reported setting of 10K. Using the logged data, it was possible to calculate the mean condensing temperature, mean evaporating temperature, total suction superheat, total liquid subcool, capacity and C.O.P. Using the measured system data (Chart 1 pictured) and calculated operating parameters (Chart 2 pictured), it was then possible to estimate how R-407F and R-404A may have performed at the same system operating parameters (Table 1 pictured). Using the Bitzer compressor selection software as a reference, there was a strong indication that liquid injection was used with R-407F to control the compressor discharge temperatures. Overall, installation of the system using Opteon XL40 did not present any additional complexity compared to installing a system operating on R-407F. The risk assessment for this installation did not reveal any situations that required additional safety measures and the charge calculations did not prove to be a barrier either. Park Cakes supply chain manager, George Walsh, is pleased with the results to date. “We went for what we believed was a low cost option with those original R-404A modular units, but suffered in terms of both innovation and service,” Walsh said. “The new building is far better value: delivering the same storage capacity from a much smaller footprint, and with the added benefits of lower running costs and easier access. It is far more economical and convenient in every respect. Walsh said the system has performed as expected since installation without any reported problems and the calculations based on the data, the system is performing better than R-407F or R-404A with the same parameters.